Pharmacological treatment goals are to address pain, muscle tension, insomnia, depression and anxiety. Some of the available drugs can perform two or more functions. On this website we do not provide detailed information about western medical treatments for fibromyalgia. We include below list in order to educate you in all treatment forms available. Information about any prescription medication should be discussed with your prescribing physician including the termination of medications. All western medicine available for treatment of fibromyalgia solely decrease symptoms. They have no curative effect. Analgesics: Tylenol (acetaminophen), NSAIDs: aspirin, ibuprofen, Aleve (naproxen), Tramadol. Very often they are combined with other medications. Their ability to alleviate fibromyalgia pain is very limited. Mirapex – is used for Parkinson’s disease. According to research it helps with fibromyalgia pain. It is also effective for restless leg syndrome, which often accompanies fibromyalgia. Many medications have severe, multiple side effects. Acupuncture – There is an increasing amount of research showing the effectiveness of acupuncture in treating fibromyalgia pain and associated symptoms. Massage – A wonderful therapeutic intervention to relax and nourish the muscles. It is non-invasive and most people enjoy it. Unfortunately some patients cannot tolerate ANY pressure, especially over the trigger points. 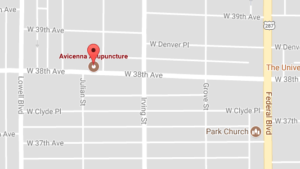 Herbs – We use Chinese herbs at Avicenna Acupuncture. We have our own herb pharmacy with more than 150 individual herbs. We mix several single herbs together to make a specific formula for you. Since fibromyalgia has a multitude of clinical presentations a sincere practitioner of Traditional Chinese Medicine will not prescribe you a patent formula. Please refer to our “Herbs” link for more detailed information. Dietary supplements – A few supplements are recommended specifically for fibromyalgia. Our list is not complete. The effectiveness of those remedies varies. Always please consult a healthcare professional before you start taking supplements. Some might interact with medications you are already on, some might produce different side effects. Lifestyle – Diet – Exercise – Last but definitely not least. I consider changes in lifestyle more important then taking meds or herbs or applying other treatment methods. In the long run, without improving lifestyle pain gets worse and very often other treatments become less and less effective. We offer a free 15 minute consultation for new patients. Meet us, ask questions, and voice possible concerns before you book a treatment.